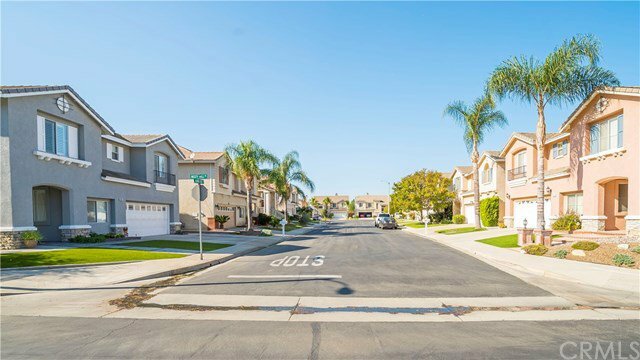 Located in highly sought-after Los Serranos Ranch Gated Community in Chino Hills! This Cul- de-Sac home with views of the mountains and sun shinning thru makes you fall in love instantly. Double doors welcome you to a formal dining room framed by tall ceilings and natural light every which way. Through the Dinning room you come to an open space which brings together Kitchen, Living Room and another eating area. The spaces flow beautifully with its rustic brick fire place, bay window, and custom tile flooring thought out. Kitchen features all stainless-steel appliances, recessed lighting, endless cabinetry for the best functionality of the space and granite counter tops. Upstairs double doors lead to the Master suite, vaulted ceilings and hardwood flooring make this space your new oasis retreat. With a master bathroom full of light, his and hers sinks, bathtub and shower all the amenities in one room you’ll never want to leave. A second bedroom with private bathroom offers your guests privacy. Two more bedrooms offer plenty of space for guests or a growing family. 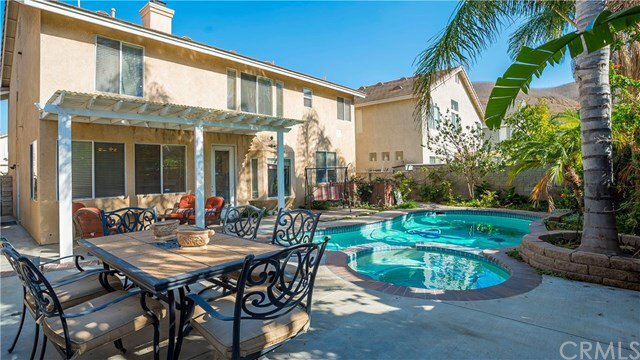 Serene Back Yard surrounded by palm trees and the feature of the home a most beautiful pool and spa. 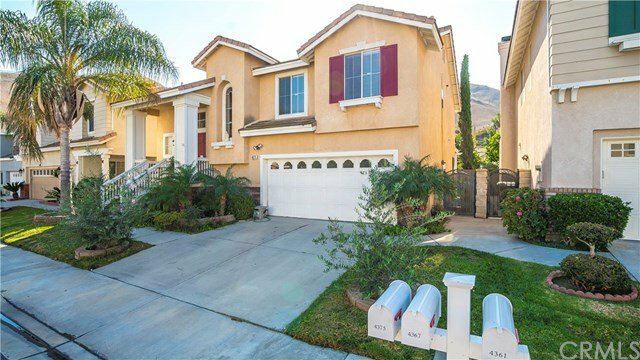 This sophisticated home is a gem in the Hills, walking Distance to Wickman Elementary, a California Distinguished Blue Ribbon School and close to Chino Hills High. 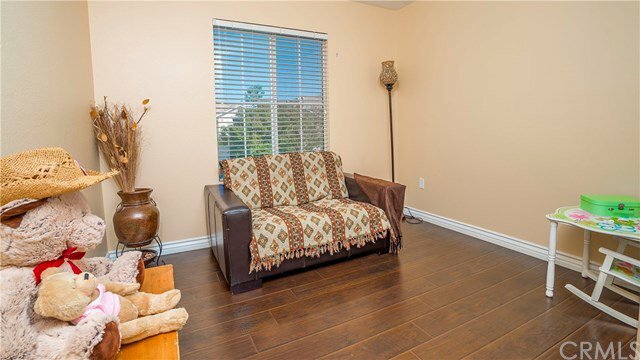 With plenty to do including hiking trails, state park, entertainment and shopping centers and the 71 FWY.